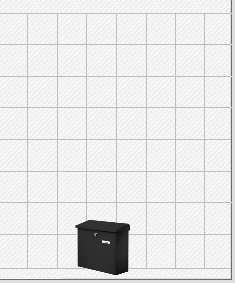 Spacious post box made from high quality galvanized steel with a black paint finish. Easy removal of contents via full height drop down door including door stop. Constructed from high grade galvanized steel to European Standard EN 13724. Suitable for wall mounting (fixing screws & wall spacers included).